IV acyclovir is reserved for the severely immunosuppressed (bone marrow transplant patients), disseminated infection, or ophthalmic zoster. d. The IV dose for zoster is 10 mg kg, administered over a one-hour, q8h. Nephrotoxicity can usually be avoided if the patient remains wellhydrated. The dosage should be reduced in renal failure. 6. Ophthalmic distribution zoster is a medical emergency which requires IV acyclovir and topical antivirals. A. PNH is the most common complication of herpes zoster. It is defined as chronic pain persisting for at least one month after the skin lesions have healed. B. The incidence of PHN after an episode of herpes zoster is 5-50 . Those aged 60 and older have a 50 chance of developing PHN. PHN resolves within two months in about half of those affected. Varicella (chickenpox) and herpes zoster (shingles) are different clinical manifestations of infection by the same virus - Varicella-Zoster, a DNA human herpes virus, conditions caused - an acute encephalitis - postinfectious encephalomyelitis Shingles Motor weakness occurs in 20 due to damage of the anterior horn cell. More widespread spinal (myelitis) or encephalic involvement occurs in the immunodeflcient. In these patients extensive cutaneous lesions are common (disseminated zoster). Cranial nerve ganglia involvement ulceration - herpes zoster ophthalmicus. Occasionally patients, 7-10 days after onset, develop a necrotising granulomatous angiitis causing stroke-like syndromes. Zoster virus antigen is detected in thrombin in major vessels. Keratitis due to endogenous recurrence of chickenpox (caused by the varicella-zoster virus see herpes zoster ophthalmicus). Diagnostic considerations Herpes zoster ophthalmicus also occurs in superficial and deep forms, which in part are similar to herpes simplex infection of the cornea (red eye with dendritic keratitis, stromal keratitis, and ker-atouveitis). Corneal sensitivity is usually decreased or absent. Encephalitis accounts for 90 of the neurological complications of varicella, which are in themselves rare, affecting only 01 of cases.24,25 In half, the encephalitis is of the cerebellar type with ataxia, dysarthria, headache, and drowsiness coming on about a week after the rash begins, but the neurological onset may precede the rash. Convulsions are common26 and progression to hemiplegia, cranial nerve palsies, aphasia, and coma may ensue. Patients with the cerebellar form usually recover completely but 10 of those with the general form die. Encephalitis may rarely follow shingles.27 Management of VZV-associated encephalitis is with aciclovir as described for HSE. Zoster is usually heralded by dermatomal pain, sometimes accompanied by fever. Within a few days, the skin overlying the dermatome reddens and blisters. 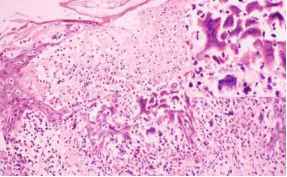 A few vesicles are usually grouped on one erythematous base, in contrasttothe scattered, single vesicles of chickenpox. Several days later the vesicles become pustular and develop crusts, followed by scabs. B. Zoster may occur in any dermatome, but the thoracic dermatomes are most often affected. In 90 of patients, pain eventually disappears completely. C. The frequency of zoster increases markedly after age 55, but people of any age can be affected. Less than 5 of immunocompetent patients who have one episode of herpes zoster will have another, and the episodes are usually separated by years. HIV-infected patients are more likely to have recurrent herpes zoster infections. The worldwide use of highly active antiretroviral therapy (HAART) has played an important role in changing the incidence of neurological complications in AIDS patients. Recent studies have shown that HAART has produced both quantitative and qualitative changes in the pattern of HIV neuropathology an overall decrease in the incidence of some cerebral opportunistic infections such as toxoplasmosis and cytomegalovirus encephalitis, for which successful treatment is available, whereas other uncommon types and new variants of brain infections, such as varicella-zoster encephalitis, herpes simplex virus encephalitis or HIV encephalitis, are being reported more frequently as ART promotes some immune recovery and increases survival (8). In developing countries, some endemic infections such as tuberculosis and Chagas disease have re-emerged in direct association with the spreading of HIV, and are now being considered as markers of AIDS. Marked by onset of symptoms, rising titre of circulating virus and decline in circulating CD4 T-cell count to < 0.5 x 109 L. Wide variation in individual patient's rate of progression at this stage. A number of minor opportunistic infections are common oral genital candida, herpes zoster, oral leucoplakia. Lethargy, PUO and weight loss occur frequently. Deepening lymphopenia (CD4 < 0.2 x 109 L) invariably present when opportunistic infection occurs. Persistent generalised lymphadenopathy is a condition where lymphadenopathy > 1cm at 2 or more extra-inguinal sites persists for > 3 months. It is a prodrome to severe immunodeficiency, opportunistic infection and neoplasia. An endemic disease is the average or normal number of cases of a disease in a certain population.The number of people contracting the disease and the severity of the disease is so low that it raises little concern and does not constitute a health problem. An example is the varicella-zoster virus (the virus that causes chickenpox). Chickenpox is an endemic disease that usually affects children and is seasonal. An endemic disease can give rise to epidemics. The varicella-zoster virus, which causes varicella (chickenpox), has an incubation period of two weeks. The human immunodeficiency virus, the virus that causes AIDS, has an incubation period of 7 to 11 years. During this phase, the disease can be spread from the infected individual to a non-infected individual. The purine analogues fludarabine and 2-CDA used in standard lympho-proliferative protocols induce neutropenia in all cases. Nadir 14d post-treatment initiation and neutrophil counts may fall to zero for several days or even weeks. They are therefore associated with the usual neutropenic infections. In addition, purine analogues have a particular property of inhibition of T4 helper lymphocyte subsets within weeks of initiation of therapy (nadir at 3 months) and may last for > 1 year following cessation of therapy. This profound T4 function inhibition predisposes to fungal infection, as well as a higher incidence of Herpes zoster infection and PCP. I lymphocyte function also predisposes to transfusion associated GvHD in passenger lymphocytes of donor blood transfusions. In one series, 15 of 34 children with rheg-matogenous retinal detachment had a history of inflammatory or infectious disease in the eye with the detachment 44 . Acute retinal necrosis, characterized by anterior uveitis, occlusive retinal vasculitis and progressive peripheral retinal necrosis, occurs primarily in nonim-munocompromised adults as a result of reactivated herpes simplex or varicella zoster virus infection. The risk of retinal detachment is high, reported to be between 25 and 75 and due to retinal breaks, usually following posterior vitreous detachment after the acute phase is over. Although less common, it has been reported to occur in children 6 . 6.2.1.1c Varicella Zoster Varicella Zoster (VZV or human herpes virus 3 (HHV-3)) causes chickenpox. In adults, complications can develop leading to 20-25 deaths per year in England and Wales (Rawson et al. 2001). VZV is currently controlled by a live attenuated vaccine. Animal studies with recombinant VZV glyco-proteins B, C, E and I (gB, gC, gE and gI), have confirmed the role of antibody in protection, while the intermediate early protein IE62 appears to be implicated in the generation of VSV-specific CTL responses. A recombinant HSV-1 vector expressing either gE or IE62 induced antibody and CTL responses in mice, supporting the feasibility of a combined HSV VZV vaccine (Lowry et al. 1997). DNA amplification methods can assist laboratories in detecting viruses that are present in low numbers, for example, HIV in antibody-negative patients or cytomegalovirus in transplanted organs. We have used molecular diagnostic methods to detect HSV in culture- and antibody-negative cerebrospinal fluids from patients with biopsy-proven HSV encephalitis. Molecular diagnostic methods are also important when a tiny volume of specimen is available (e.g., forensic samples or intra-ocular fluid specimens). For example, we routinely perform five PCR tests (HSV, cytomegalovirus, varicella-zoster virus, Epstein-Barr virus, and human herpesvirus 6) on a single 100- a1 intra-ocular fluid specimen. This specimen volume is barely sufficient for a single culture procedure. Acute viral transverse myelitis is rare. It can occur in association with measles, mumps, Epstein-Barr, herpes zoster simplex, enterovirus infections or small pox. Fever, back and limb pain precede paralysis, sensory loss and bladder disturbance. Initially paralysed limbs are flaccid, but over 1-2 weeks spasticity and extensor plantar responses develop. Good recovery occurs in 30 . Death from respiratory failure is rare (5 ). Human cytomegalovirus is a member of the herpesvirus family, which also includes the herpes simplex (discussed below), varicella zoster, and Epstein-Barr viruses (88,89). Cytomegalovirus (CMV) and herpes simplex are the most studied of the microorganisms responsible for the opportunistic infections associated with acquired immunodeficiency syndrome (AIDS) (90). Cytomegalovirus infection in AIDS patients is most commonly manifested as retinitis (CMV retinopathy) and is the most common cause of blindness in AIDS patients (90). Examples of DNA viruses and the diseases that they produce include adenoviruses (colds, conjunctivitis) hepadnaviruses (hepatitis B) herpesviruses (cytomega-lovirus, chickenpox, shingles) papillomaviruses (warts) and poxviruses (smallpox). Pathogenic RNA viruses include arborviruses (tick-borne encephalitis, yellow fever) arenaviruses (Lassa fever, meningitis) or-thomyxoviruses (influenza) paramyxoviruses (measles, mumps) picornaviruses (polio, meningitis, colds) rhab-doviruses (rabies) rubella virus (German measles) and retroviruses (AIDS). Many different kinds of viruses can infect the central nervous system, including the Epstein-Barr virus of infectious mononucleosis the mumps, rubeola, varicella-zoster, and herpes simplex viruses and more commonly, human enteroviruses and the viruses of certain zoonoses. In most cases, nervous system involvement occurs in only a very small percentage of people infected with the viruses. The next section discusses four kinds of illness resulting from viral central nervous system infections meningitis, encephalitis, poliomyelitis, and rabies. Herpes zoster infection of the geniculate (facial) ganglion causes sudden severe facial weakness with a typical zoster vesicular eruption within the external auditory meatus. Pain is a major feature and may precede the facial weakness. Serosanguinous fluid may discharge from the ear. Cytomegalovirus (CMV) is a member of the herpesvirus family, which includes herpes simplex virus, Epstein-Barr virus, and varicella-zoster virus, any of which can cause troublesome symptoms in patients with immunodeficiency. CMV, like other her-pesviruses, is commonly acquired early in life and then remains latent. With impairment of the immune system, the infection activates and can cause severe symptoms. Varicella Zoster Virus Post-transplantation, VZV causes herpes zoster in seropositive individuals (90 of the adult population). The remaining 10 of patients are at a risk for primary infection. Up to 13 of transplant recipients develop herpes zoster during the first six months post-transplantation. Typical dermatomal skin lesions are the usual presentation of herpes zoster. Disseminated disease occurs as well, with multiple dermatome involvement. Der-matomal pain without skin eruption has been described. The treatment of localized dermatomal zoster is treated with oral acyclovir, valacyclovir, or famciclovir. In severe cases, disseminated disease, or primary infection, intravenous acyclovir is administered initially and patients are monitored carefully. The duration of treatment is usually ten days. Lg Chronic severe lymphopenia (< 0.5 x 109 L) is associated both with opportunistic infections notably Candida species, Pneumocystis carinii, CMV, Herpes zoster, Mycoplasma spp., Cryptosporidium and toxoplasmosis and with an increased incidence of neoplasia particularly NHL, Kaposi's sarcoma and skin and gastric carcinoma. Viruses cause most pneumonia in infants and children, but viral pneumonia is uncommon in adults. Essentially, any virus can produce any syndrome, but severe pneumonia leading to ICU admission in adults is mainly due to influenza and herpes viruses, particularly varicella zoster virus. 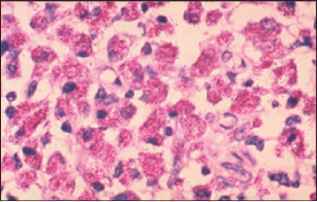 Hantavirus, which is known to cause hemorrhagic fever with renal syndrome, has been also responsible for multiple organ failure with non-cardiogenic pulmonary edema. Side effects were reported in two of the systematic reviews and two RCTs. These included herpes simplex, herpes zoster, severe ankle oedema, fractured neck of femur, acute anxiety and severe depression 117 weight gain, oedema, gastrointestinal symptoms and psychological symptoms 119 raised blood glucose 126 infection and raised blood pressure.121 One review reported that the major side effects were significantly more frequent in the intervention group compared to the control group. The frequency of minor side effects was high in all the studies. Following activation of a latent infection with varicella zoster virus lying dormant in the dorsal root or gasserian ganglion, the patient develops a burning, constant pain with severe, sharp paroxysmal twinges over the area supplied by the affected sensory neurons. Touch exacerbates the pain. Thick myelinated fibres are preferentially damaged, possibly opening the 'gate'. One of the great fears when pediatric transplantation began was that because of immunosuppression, the child would be at risk for severe complications from common childhood diseases. In actual experience, with careful triple therapy immunosuppression, most common childhood illnesses are well-tolerated. Routine immunizations (except for live virus vaccines) should resume at 12 weeks posttransplant. Transplant recipients have a normal response to routine immunization with diptheria, pertussis, typhoid, and Hepatitis B. Pediatric transplant recipients and their siblings should receive only inactivated polio. Measles, mumps and rubella vaccines are not given to these patients. Varicella-Zoster immune globulin should be given to pediatric heart transplant recipients within 72 hours after exposure to chicken pox. Currently, varicella vaccine is given to siblings, but not to the transplant recipient. The recipient evaluation is shown in Table 12B.2.2 Potential recipients are evaluated by a team composed of pediatric nephrologists,surgeons, neurologists, nutritionists, psychologists, and social workers. The history and physical examination are aimed at identifying associated congenital anomalies, documenting height, weight, and head circumference, and determining neurologic development. Blood is obtained for CBC, platelet count, electrolytes, calcium, phosphorus, albumin, type and crossmatch, HLA typing, and viral serology (i.e., cytomegalovirus, Epstein-Barr virus, herpes simplex virus, varicella zoster, measles, mumps, and rubella). A urinalysis, chest x-ray, electrocardiogram, electroencephalogram, abdominal ultrasound, and vesicourethrogram (if indicated by history or prior renal ultrasound) or voiding cytourethrogram are also obtained. Pneumococcal and hepatitis B vaccines are given 6 weeks pretransplant. Transplant patients with diabetes mellitus should have regular eye examinations to prevent the complications of diabetic retinopathy. Whether patients with diabetic retinopathy would benefit with stabilization or improvement in their vision following early pancreas transplant remains unanswered. Eye infections in transplant patients can be devastating and require emergent diagnosis and treatment. Herpetic keratoconjunctivitis, CMV retinitis, toxoplasma chorioretinitis and ophthalmic herpes zoster are among the eye infections which require timely diagnosis and treatment. The skin of the yellow perch is covered with scales. Scales are thin, round disks of a bonelike material that grow from pockets in the skin. As Figure 39-10 shows, scales overlap like roof shingles. They all point toward the tail to minimize friction as the fish swims. Scales grow throughout the life of the fish, adjusting their growth pattern to the food supply. The scales grow quickly when food is abundant and slowly when it is scarce. The skin is the site of several common disorders that include acne vulgaris, psoriasis, eczema dermatitis, contact dermatitis, drug-induced dermatitis, and burns. Some disorders result from viral infections such as herpes simplex and herpes zoster. Some result from fungal infections such as tinea pedis (athlete's foot) and tinea capitis (ringworm). Intravenous acyclovir (aciclovir) has been used early in the onset of severe varicella zoster virus pneumonia and seems to reduce the respiratory rate and the duration of fever, and to improve oxygenation. It probably favors the healing of bronchial lesions. The same treatment might be recommended for the rare cases of severe necrotizing herpes simplex virus pneumonia, although there are no published data, as acyclovir is highly active in vitro and is non-toxic. The dose for severe pneumonia due to varicella zoster virus is 500 mg m2 intravenously every 8 h for 5 to 10 days. Chickenpox and Shingles Chickenpox and shingles are caused by the same varicella-zoster herpesvirus. The virus multiplies in the lungs and travels to blood vessels in the skin. The symptoms of chickenpox include fever and skin rash. The virus is spread through direct contact with the skin rash and through the air. After recovery, a person has lifelong resistance to reinfection. The virus, however, can sometimes stay in nerve cells as a provirus. The virus can later cause a disease called shingles. The shingles rash, shown in Figure 24-5, can shed new chickenpox viruses and infect susceptible children and adults. The dose-limiting toxicity of mechlorethamine is myelosuppression maximal leukopenia and thrombocytopenia occur 10 to 14 days after drug administration, and recovery is generally complete at 21 to 28 days. Lymphopenia and immunosuppression may lead to activation of latent herpes zoster infections, especially in patients with lymphomas. Mechlorethamine will affect rapidly proliferating normal tissues and cause alopecia, diarrhea, and oral ulcerations. Nausea and vomiting may occur 1 to 2 hours after injection and can last up to 24 hours. 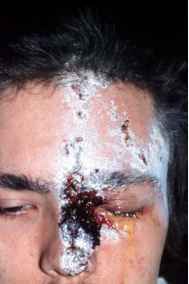 Since mechlorethamine is a potent blistering agent, care should be taken to avoid extravasation into subcutaneous tissues or even spillage onto the skin. Reproductive toxicity includes amenorrhea and inhibition of oogenesis and spermatogenesis. About half of premenopausal women and almost all men treated for 6 months with MOPP chemotherapy become permanently infertile. The drug is teratogenic and carcinogenic in experimental animals. You can safely download your risk free copy of How To Cure Shingles from the special discount link below.